ScratchDuino is a highly customizable, simple and interactive open source robots construction kit based on Arduino. 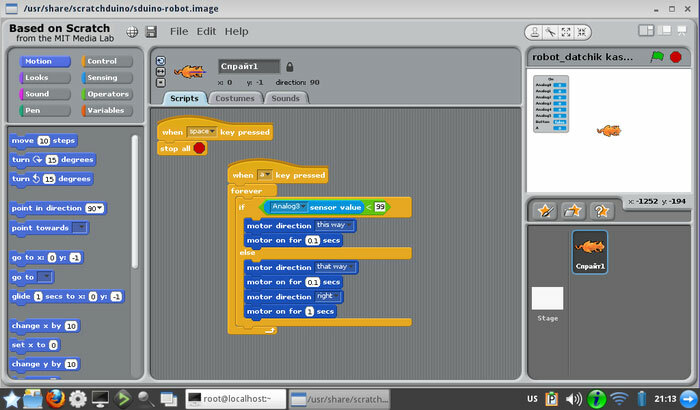 Magnetic mounted parts make the ScratchDuino easy to assemble, and can be programmed using MIT Scratch, a visual program language. Scratchduino makes an excellent interactive educational open source platform for kids and beginners, as well as a vast experimental kit for advanced robots enthusiasts, and is now taking pre-orders on Kickstarter. The basic kit includes two light sensors, two contact sensors, two reflective object sensors, and one “infrared eye” sensor. Each sensor is protected by an individual plastic shield and mounting them onto the motorized platform is foolproof. It is ready out of the box and can be assembled in as little as five minutes. The kit also comes with two blank magnetic-mount modules to make it easy to build your own custom sensors. ScratchDuino is built using Arduino technology, which is an open source electronic prototyping platform based on flexible, easy-to-use hardware and software. 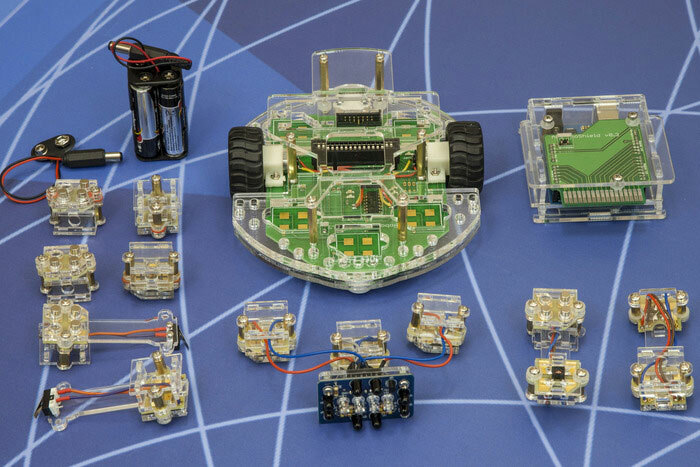 Completely open source, the ScratchDuino robots construction kit allows users to assemble robots using the original set of parts, to modify their robots in various ways, to program the robot, and to share their modifications with STEM robotics community all over world. 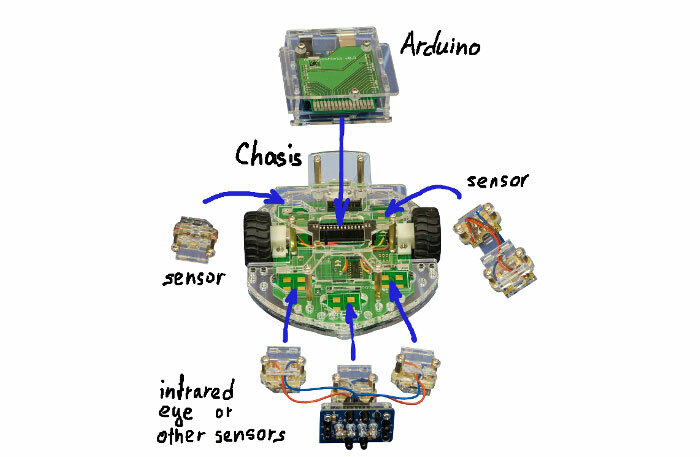 Advanced users can dive deeper into programming the ScratchDuino robot kit using Arduino IDE. As open source evangelists, we provide all blueprints and assembly schematics for those who would like to create ScratchDuino from scratch. The ScratchDuino team consists of professional teachers, designers and programmers working in educational software and hardware development. We first had the idea to create our own robot kit for students and robotics amateurs four years ago, when we realized that most of commercial robot kits are too complex to assemble, and are closed source. We thus decided to build an open source platform from scratch, using Arduino as the basic hardware platform and Scratch as the programming language. ScratchDuino was the result. We designed the magnetic-mount sensor attachments to simplify the assembly process. Initial fundraising showed a lack of interest from banks and potential investors, which require commercial patents and closed source solutions. We are open source evangelists, however, and so decided to go to Kickstarter. Our goal is to raise $105,000 by October 24, 2014, and to start the serial production of ScratchDuino robots construction kits in Finland. 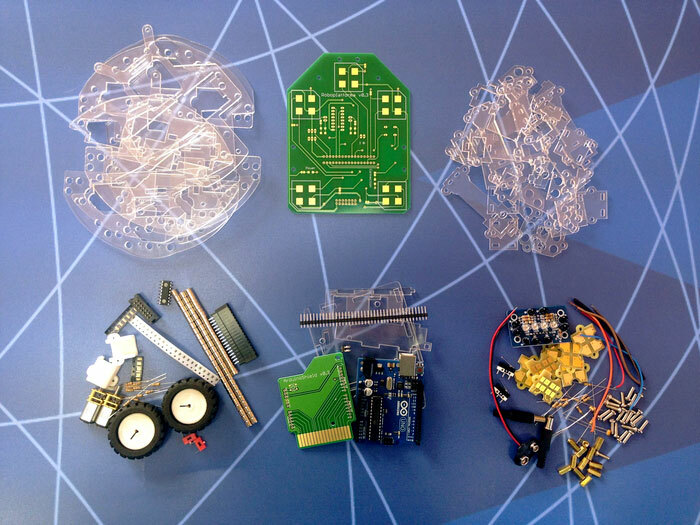 Rewards include: various versions of the robot kit, an educational class kit (master class included), and for those backers who would like to create their robot from scratch, we have DIY kits and blueprints and assembly schematics.